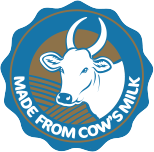 It is the quality of milk that determines the level of goodness it provides, and is key to run a successful dairy business. And this is no secret that the journey of good quality milk begins with a healthy and happy cow. Our Cows are fed with high quality feed that is filled with nutrients like, vitamins, minerals, proteins, fats and carbohydrates. These nutrients are absorbed by the cow’s mammary glands and transferred in the milk produced. It is these nutrients that decide the nutritional value of the milk. A cow that weighs 350 Kgs needs to be fed with 20-25 Kgs of green monocot grass like, corn, hybrid, napier, millets, crush, nutrifeed, sugar graze; 8-10 Kgs of dicot grass like, bursim, shevari, white gram (chavli) and 5-6 Kgs of dry grass, everyday. To increase the fat content in the milk the cow needs to digest the green feed properly. In order to do so, the green feed and dry feed are shredded and mixed well together. For the cows to chew and digest the feed properly in a certain amount of time, they are fed with the right proportion twice a day (morning and evening). Every 10 Litres of milk requires 50 gms of minerals and 5 gms for every 1 Litre thereafter, to ensure that the mineral content is in proportion to the amount of milk produced. The timing of milking is also essential for the cow and the quality of milk. Ideally, 6 in the morning and 6 in the evening are preferred. If in the initial for months of pregnancy the cow produces more than 10 Liters of milk, then it needs to be fed with 100gms of ‘bypass fat feed’ everyday. The cows also undergo timely medical check-ups to maintain a healthy fat and SNF percentage in milk. De-worming and worm eradication process is takes place about four times a year. This ensures that all the digested nutrients are mage available to the cow and not consumed by parasites. The cows receive a timely immunization against various diseases. Along with these precautions, their sheds are also well looked after. They are kept open for proper circulation of air. During summer, fans are installed to maintain a healthy temperature for the cows. Livestock are the life of our business and they are treated with the utmost care.